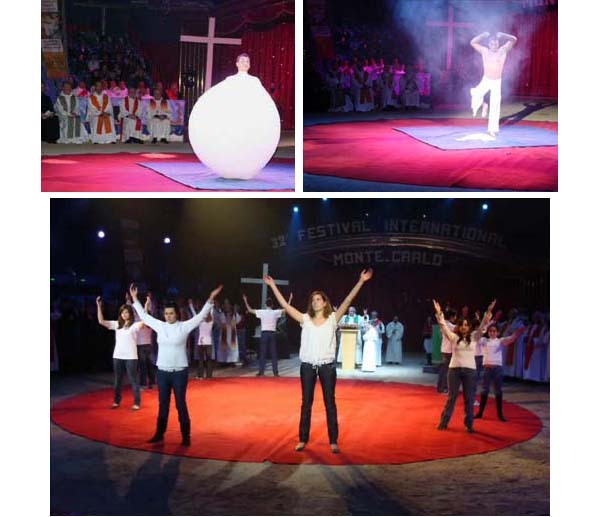 At the 32nd International Circus Festival in Monte Carlo, Monaco, Archbishop Bernard Barsi and the Bishops of Monaco enter the ring to celebrate Mass among clowns and circus acts. 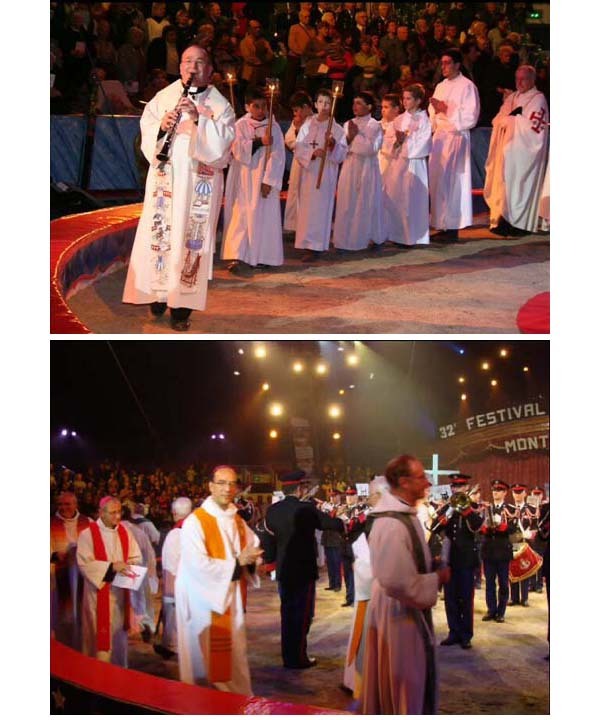 This event was part of the Week for Christian Unity - 2008. 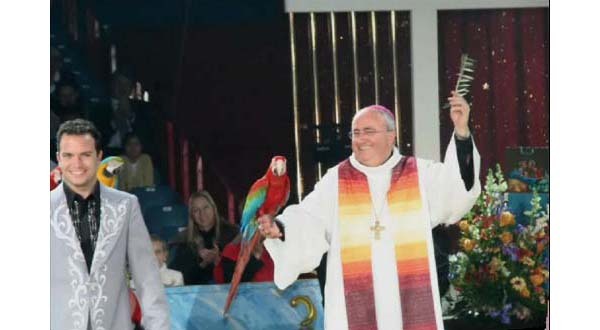 Above, Archbishop Barsi appears with a macaw alongside a circus announcer.Below first row, the procession for the Mass starts with a jubilant priest playing his clarinet; second row, next come the Bishops followed by their Archbishop, last to the left; third row,a balloon man, left, who explodes; at right, one of the shows during the Mass; fourth row, girls of different ages greet the assembly, like circus performers.